I did a “make and take” class in English paper piecing with The Strawberry Thief. It is very addictive and therapeutic at the same time. 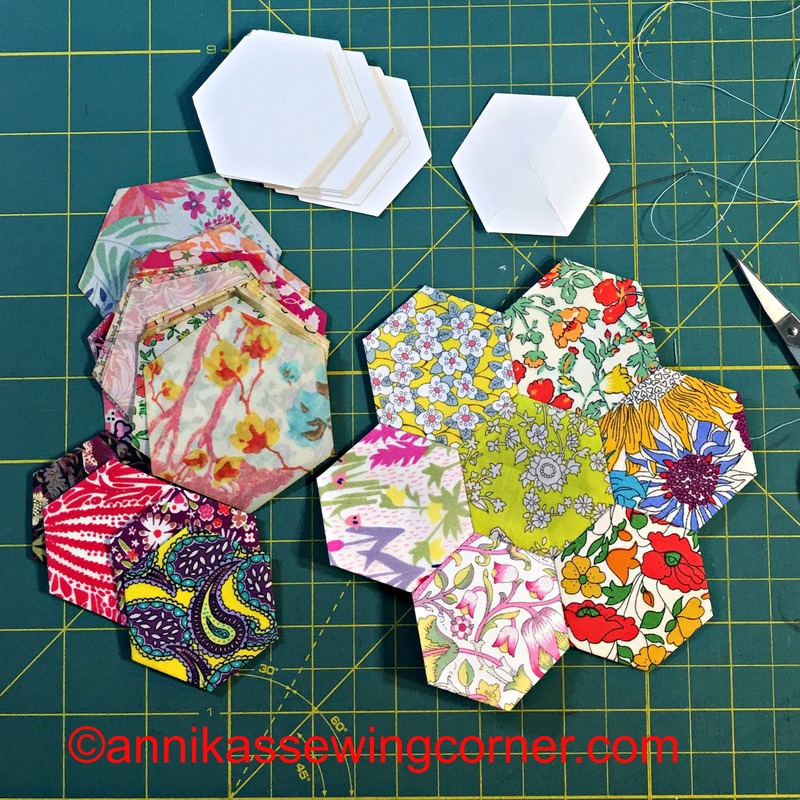 I finished one hexagon flower on Friday night and there was enough material for five. I will post a picture when I finished them. I also did a lot of shopping of course. 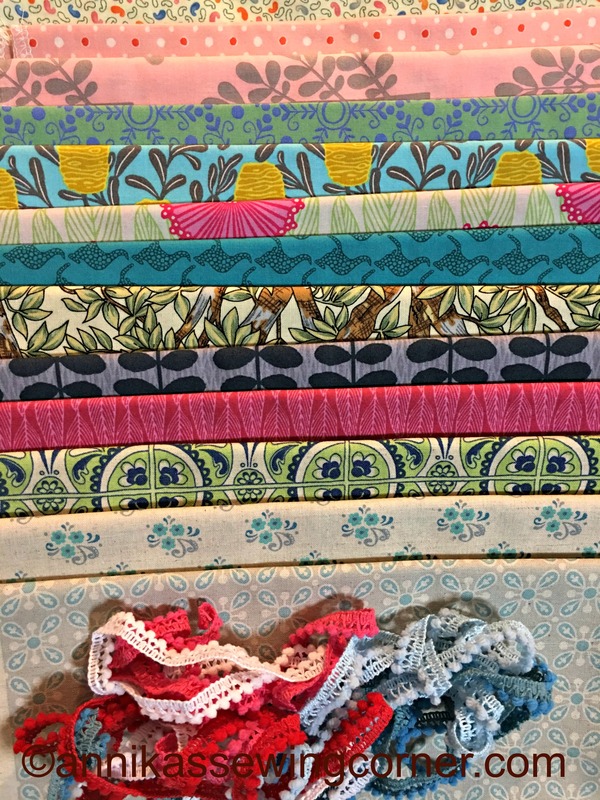 The picture shows some of the fabrics and the mini pompom ribbons I bought. Until next time; Happy Sewing and take care!